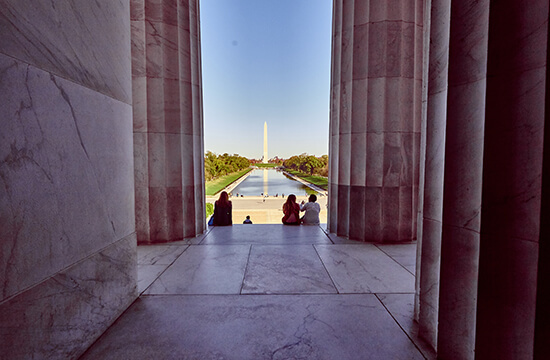 Starting and finishing in America’s capital, Washington, DC we think this 2-week road trip is one of the best ways to see the east coast. 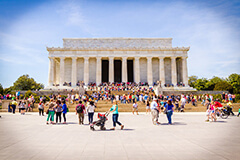 You’ll see American history unfold before you, all whilst cruising along some of America’s most scenic landscapes. All of our pre-packaged road trips can be altered to meet your exact needs and wants. Do you have more or less than 14 days for your road trip? No problem, we can bolt on extra nights to allow more time to explore or shorten the number of destinations as required. Just let us know when requesting your quote. So much American culture to soak up. We love it all! 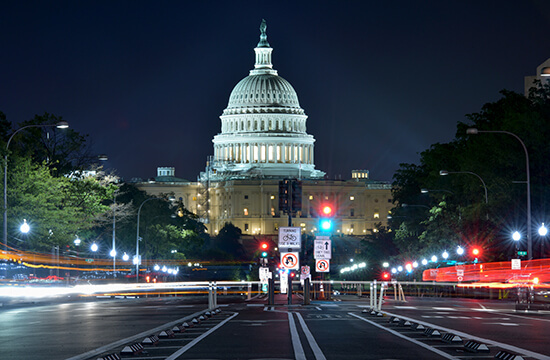 After landing at Washington Dulles International, you’ll make your own way to your hotel. You can reach the city easily by taxi or alternatively take the Metro direct from the airport. You have four nights to allow you to really enjoy the city. 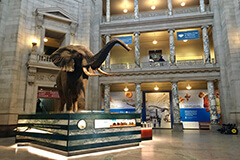 You may want to dip into the famous Smithsonian Museums today - there are 17 to chose from! 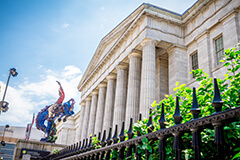 The most famous, the Air & Space Museum and the Museum of Natural History are on the National Mall, in the heart of the city. Best of all, they’re free to visit. Our favourite though is the Newseum, which has amazing artefacts chronicling how we 'news' has changed over the last 100 years. You can try your hand behind a TV studio desk too. Georgetown is a great neighbourhood on the western side of the city and a part of Washington, DC that often gets overlooked. Its beautiful red-brick buildings are dotted with boutique shops and cafes which bring the area to life. This evening you may want to enjoy a refreshing drink overlooking the city. Try the Observatory in Georgetown for a great view! 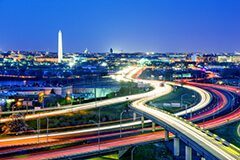 Heading out of Washington, DC in your hire car today to begin your road trip. 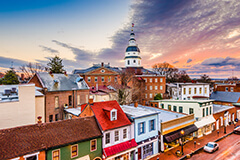 You’ll make your first journey to the town of Annapolis in Maryland. 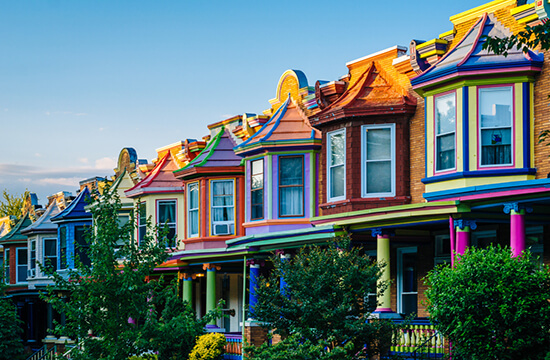 The town served as the capital city under George Washington and is full of charming streets oozing with character. The U.S. Naval Academy is stationed here too. 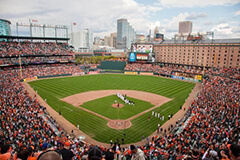 Baltimore is a warm and friendly city with impressive sites such as Fort Mckinley. The city is affectionately known as Crab City and there are dozens of very affordable steamed crab restaurants to tempt you. 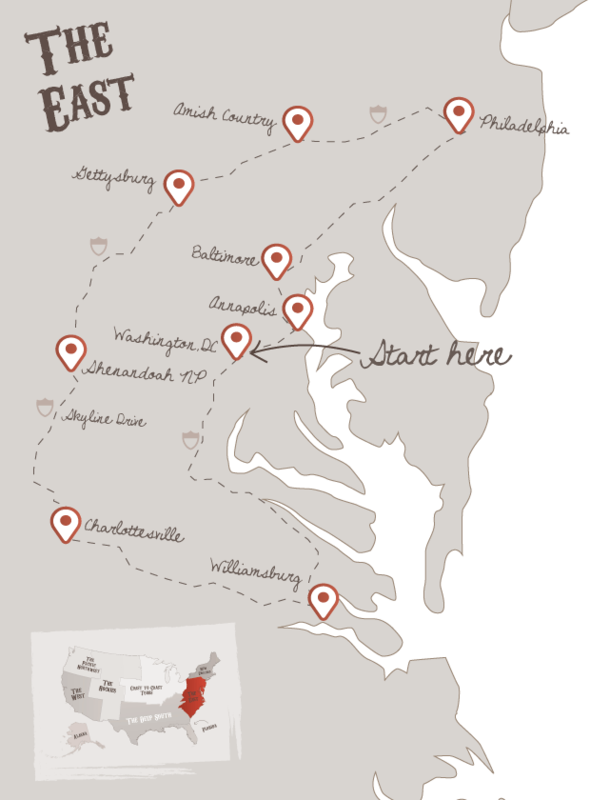 Continuing north you’ll arrive in the “birthplace of America”, Philadelphia. 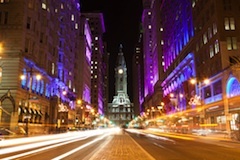 Known as Philly to locals, you have two nights to take a taste of the capital of Pennsylvania. This evening, you may want to take an evening riverside stroll. Head to Race Street Pier for incredible sunset and nighttime views of the Benjamin Franklin Bridge. A second day to enjoy Philadelphia. A visit to the city wouldn’t be complete without trying an authentic ‘Philly Cheese Steak’ sandwich. You can find these guilty pleasures easily in downtown. To burn off those calories, recreate the famous scene from the film ‘Rocky’ by climbing the steps outside the city hall. 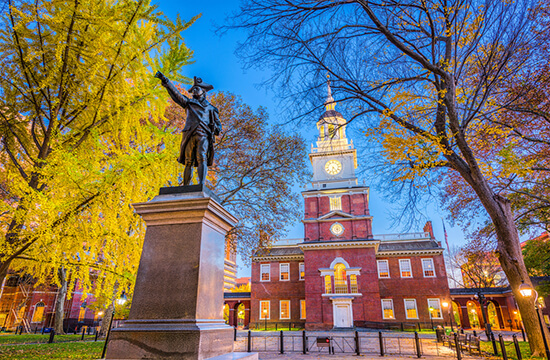 Leaving the Philadelphia behind today you’ll emerge into the beautiful Pennsylvanian countryside where you have one night in the town of Lancaster. 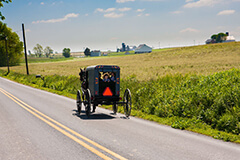 Here you can have an authentic Amish experience, learning about the history, art and culture of the religious communities. 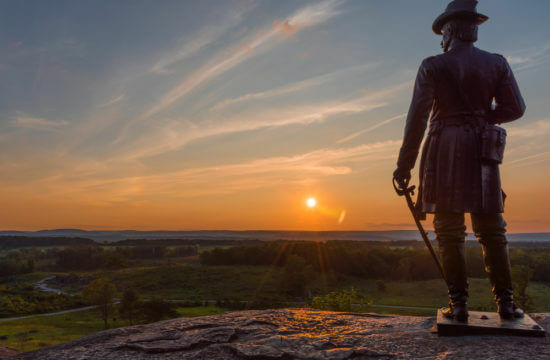 Your journey into the heart of the Keystone State continues as you arrive in Gettysburg. The Pennsylvania Monument stands proud, to the battle where 50,000 Union and Confederate soldiers were killed or injured during the Civil War in 1863. The brilliant visitor centre makes the site’s significance really come to life. We recommend an early start to really make the most of your next day on Skyline Drive. 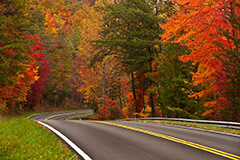 The drive marks the start of the 105 mile scenic Blue Ridge Parkway in Shenandoah National Park. There are lots of opportunities to park up at one of the scenic lay-bys and stretch your legs on one of the many trails. You definitely don’t want to rush this journey! Cruise down Highway 33 today to Charlottesville. 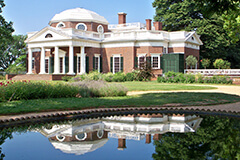 The town sits on the foothills of the Blue Ridge Mountains in central Virginia and is close to Thomas Jefferson’s famous home in Monticello. If you’re keen to do something more active, there are two major rivers close-by, offering fantastic kayaking opportunities. 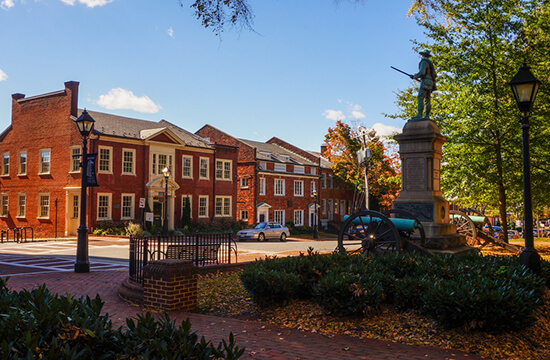 Heading east towards your final stop on this amazing road trip, you’ll arrive into the charming town of Williamsburg. A growing microbrewery and winery scene here makes the town a brilliant place to enjoy a local speciality. Keep an ear out for historical reenactments as you wander the cobbled lined streets of this former colonial powerhouse. 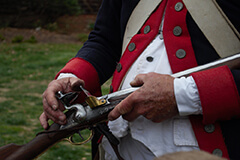 Maybe spend the day visiting the nearby Jamestown Settlement, a living history museum chronicling the 17th-century explorers and their interactions with Native Americans. Tomorrow you'll make your way back to Washington, DC for your flight home from Washington Dulles International. The team at The American Road Trip Company will work hard to find you and your fellow road trippers the shortest, cheapest and most convenient flights possible. Our preferred partners are British Airways, American Airways and Virgin Atlantic. In today's golden age of travel, these airlines offer first class service and state of the art aircraft including seat-back, on-demand video and ergonomically designed seats. Don't forget to check out this road trip's Itinerary tab to see more amazing pictures from our "Capital Region Cruiser" tour. You'll also be able to read a little bit about what you'll be getting up to on each and every day of this incredible holiday adventure.